Note: This article was accidentally deleted and had to be re-created on July 6. On Wednesday (July 1), I wrote a journal entry (378 words) and some opening lines for practice (421 words). This worked out to 799 words for the day, well below my average for the challenge to date. On Thursday, I didn't write anything. 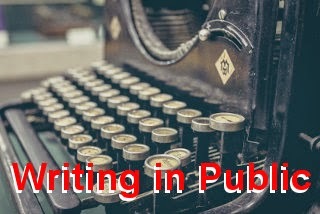 Friday, I wrote the first part of a series of posts for How to Write Fiction on the subject of story openings and opening lines (824 words), a journal entry (181 words), and a single opening line for practice (28 words). That gave me 1,033 words for the day. Saturday, I wrote the second part of the series on story openings (1,312 words). Sunday, I wrote a chunk of the opening for my ASL story The Revenant (1,839 words), a post about Brothers Drake mead for Columbus Beer Scene (330 words), and the final section of the series on story openings for How To Write Fiction (2,041 words). I also managed a journal entry (431 words) and this post (originally 205 words). That gave me a daily total of 4,846 words. The week's total, then, worked out to 7,990 words.